Steiff Linda Lamb Heat Cushion from the best for kids collection, is made in beautiful soft cream plush. 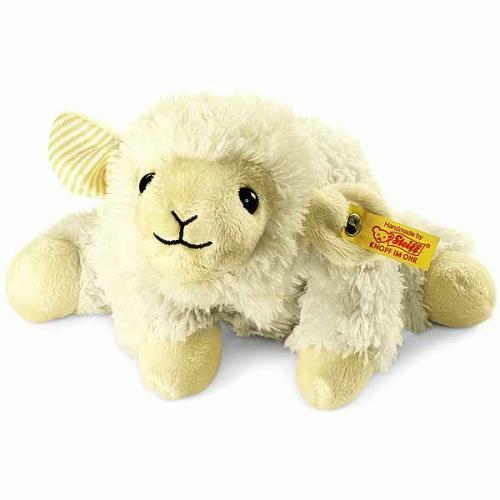 Our Linda Lamb Heat Cushion carries the yellow tag, which signifies it as a Steiff classic edition and wears the famous brass plated Steiff button in ear. This lovely Steiff piece is machine washable. Features removable cherry pit pillow. Full usage instructions are supplied with this item and should be adhered to.